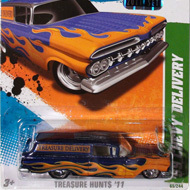 14/15 from the 2011 Super Treasure Hunt series. 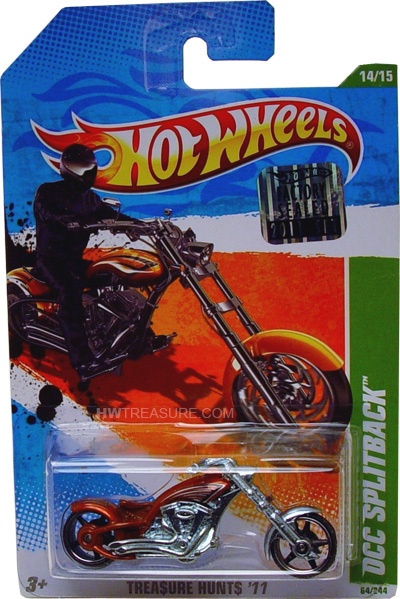 The bike sports dark orange Spectraflame paint, black and silver graphics, and the Hot Wheels logo on the rear fender. 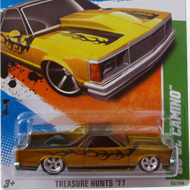 It has MC5 Real Rider wheels and an unpainted metal Malaysia base.